Versatile functionality meets space-saving style in the Bryley futon. Looking perfectly at home in a guest room, living room, or dorm, it's perfect for hosting an overnight guest. Constructed from wood solids in a white finish, wide shaped arms with horizontal lines add a stylish contemporary touch. 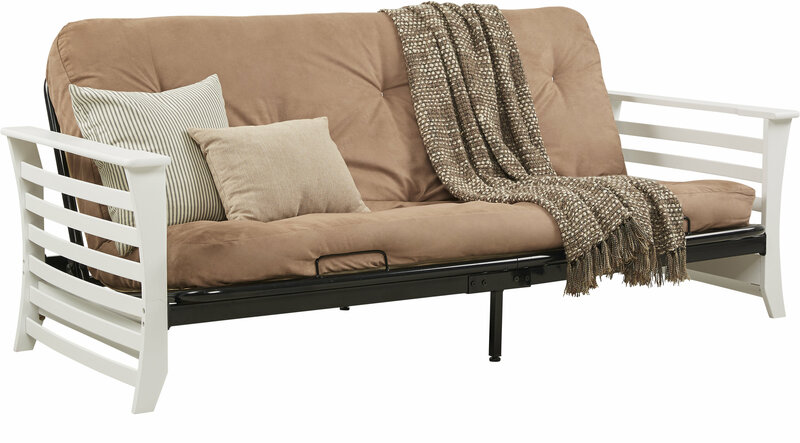 The futon opens up with a spring loaded hinge to a full sized bed (sold separately).